When it was revealed a little while ago in a list of achievements for Batman: Arkham Origins, folks didn't know what this "I am the Night" mode is, only that it must be big if it's offering 70 Gamerscore on Xbox 360. In fact it's a permadeath run through the game—one life. "I am the Night" won't be available until after a player finishes the main story arc—which producer Guillaume Voghel said will take about 12 hours—and then again through the new-game-plus mode the game is bringing back. "I am the Night" will feature gamesaves, but will have only one life in it. 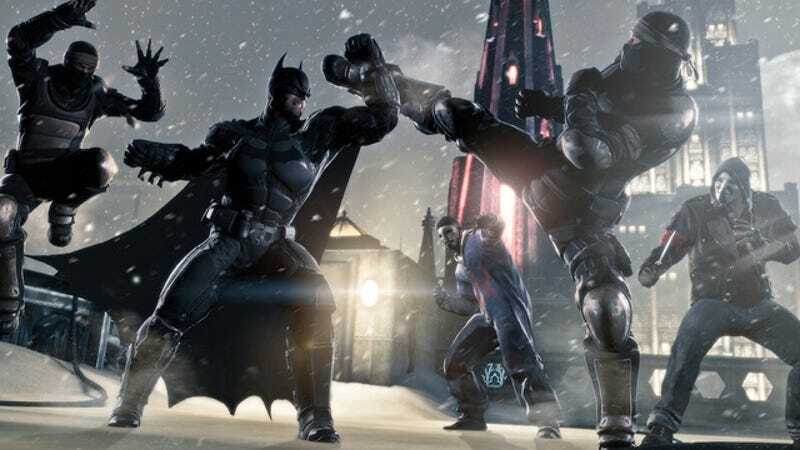 Batman: Arkham Origins arrives on Oct. 25 for Wii U, Xbox 360, PS3 and PC.